Tactica worked with Pollard Banknote to create an iPhone, Android and web app that gives physical lottery ticket players a second chance to win online by scanning a ticket with their smartphones. 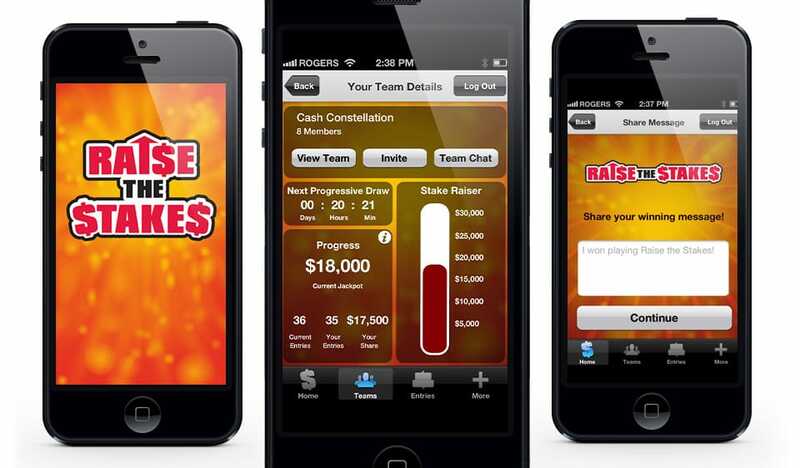 The Facebook integrated app incentivized people to create teams of their family, friends and coworkers to access larger prizes through a progressive jackpot. When a player wins a prize they’re encouraged to share the win on Facebook and Twitter. generating over 6,000,000 page views during the promotion. Pollard Banknote has been a leading supplier of instant tickets for over 25 years and serves over 60 lottery and charitable gaming organizations worldwide. As the only lottery supplier solely focused on instant ticket products and related services, they are dedicated to providing the most innovative, secure, and marketable instant games in the world. They also provide the most comprehensive turnkey support solutions in the industry, including: market research, validation expertise, algorithm development, lottery management services, licensed games, social media expertise, player loyalty clubs and second chance draws, internet and mobile strategies, retail development, and much more. The Michigan Lottery’s mission is to maximize net revenues to supplement state education programs and to provide fun and entertaining games of chance. By 2012 the lottery’s profits to education in 40 years have exceeded $17 billion.